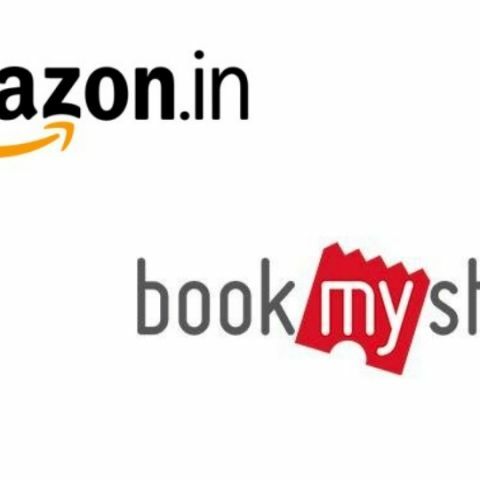 Amazon has announced that Amazon Pay will now be accepted as a payment option for booking tickets on BookMyShow. Amazon Pay can be used for booking tickets for movies, plays, events, concerts across BookMyShow website, iOS and Android apps. Amazon India customers can now use their Amazon Pay balance account for booking tickets for movies, plays, events, concerts across BookMyShow platforms (website, mobile web, Android and iOS apps). This partnership is in addition to the existing range of merchant sites that help Amazon provide their customers uninterrupted online experiences. Amazon has always had a customer backward approach and this determines expansions in Amazon Pay benefits. With these partnerships, they drive customers to utilize their Amazon Pay balance beyond the marketplace, to merchants in categories like food ordering, travel, bill payments etc. BookMyShow gives the Amazon Pay customers a new option to use their balance. Amazon has witnessed a significant growth in Pay Balances and recognizes that selection in third party merchants encourages customers to maintain more balances, thus having ease in checkout along with the benefits associated with them. Customers can also use their ‘stored value accounts and gift certificates’ (balance) along with their stored cards, other new cards and netbanking on partner merchant sites. With this announcement Amazon will drive a lot of customers to use their balance on BookMyShow helping to improve the payments conversion rates. Thereby not just bringing additional footfalls by virtue of being Amazon but converting those footfalls into additional successful orders. Amazon Pay is a trusted way to pay digitally and has helped the customer reduce dependence on cash and transact in a convenient manner. With faster check outs and ease of use, Amazon Pay seeks to improve the shopping experience for customers. It is now live on many websites and apps, and the list is growing every week. Some of the key partners besides BookmyShow are Redbus, Abhibus, Faasos, Freshmenu, Box 8, Haptik, Komparify, Niki, etc. The vision of Amazon Pay is to be the most trusted and convenient payment experience for customers, sellers and merchants. It consists of curated payment experiences (Pay on Delivery, Fast Lane cards) across existing payment methods (Debit cards, Credit Cards, Net Banking) and owned issued payment instruments (Amazon Pay balance) that offer unmatched payment convenience. With Amazon pay balance, customers can go cashless and enjoy fast and easy checkouts, quicker refunds coupled with a secured shopping experience only on Amazon.in. They are integrated directly with Citibank, ICICI Bank, SBI (and its 5 associate banks) enable them to do away with third party processors. With no additional authentications required, customers get the benefit of ‘one-click’ payments with a faster and smoother check out process. Additionally, through Amazon Pay Balance, customers can receive refunds faster than refunds to their bank accounts or credit cards. They can also view the details of balance transactions using an online statement. This statement provides a consolidated summary of all gift card credits and debits transactions such as balance added, promotional credits, balance expiry and redemption.